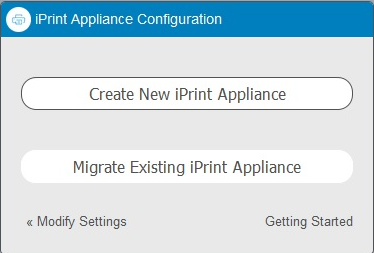 You can configure new iPrint Appliance or migrate from an earlier version. To view help, click Getting Started. Click Create New iPrint Applianceor Migrate Existing iPrint Appliance.